Classics are always relevant! But the classics can also change. And at this moment there is a new classic! A new classics can be in everything: in clothes, movies and even slot machines! 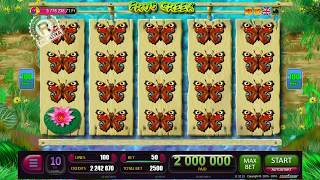 In the collection of games BELATRA, available online, now there is slot-game like Double Crazy Nuts - novelty in online games BELATRA. 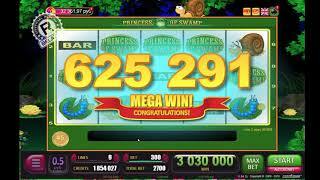 You can play this slot machine online free of charge and without registration on our site! Double Crazy Nuts is traditional slot-game that resemble the design of the first "one-armed bandits". However, there are slight differences - the famous symbols with "cherries", "sevens" and "bells" are represented here by different nuts. But in general this game is very similar to the usual "fruit slots" - there are only 5 lines. Have you wanted to play in 777 for free? The time has come! The game Double Crazy Nuts has the most simple and intuitive interface and will suit players with any experience in slot-games. Just press START - and the drums will spin, at some point, stopping and making up the winning combinations. Video-slot Double Crazy Nuts is very similar to its big brother Crazy Nuts, but it has one interesting and favorite players bonus: if all the drums are filled with the same symbols, the winning will be multiplied by 2! These games are very similar, but the doubles in them are completely different. Yes, they are cardfull. But on this their similarity ends. In Double Crazy Nuts on the screen, you will see only one card. Your task: guess her color. If you correctly guess, the red or black card on the table, your winnings will be doubled. But if you feel that luck will definitely smile to you, try to guess the suit of the card! If your intuition does not fail you, you will increase your winnings at once in 4 times! For those who do not have enough two wheels of a roaring motorcycle, we are ready to offer a super bonus - the jackpot "Wheel of Fortune". Revolve the drums in the main game and getting a JP for each spin. When you will score 2000 points, the super-jackpot will be automatically start playing. On the first wheel, the main prize is the opportunity to untwist the second wheel. On the second - to win the jackpot "Wheel of Fortune". But without victory no one will remain - each sector on the wheel hides a prize - doubling or tripling points during subsequent accumulation or additional JP points. 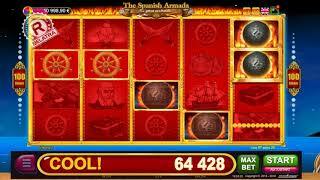 Slot machines BELATRA online - a new look at the classics! 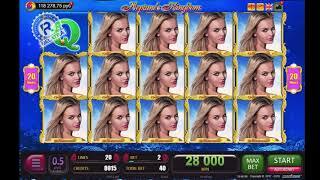 In slot machines BELATRA you can play online for real money in many online casinos!